At this year’s Barcelona Manga Fair, One Piece Film Gold staff members Hiroaki Miyamoto (director), Masayuki Sato (character designer and animation director), and Hiroyuki Sakurada (producer) sat down with us to talk about their work on the most recent One Piece movie, yielding a nice conversation about their way of working within not only the franchise but the entire anime industry. One Piece Film Gold is coming to select American cinemas on January 10th – click here for more information! So how do you become the director of a One Piece movie? Hiroaki Miyamoto : I spent six years working on the TV series, so the studio already knew me. 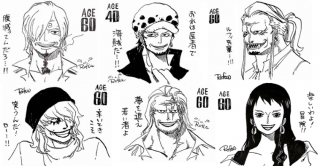 Normally, One Piece movies are directed by people who have been involved previously on the TV series. In terms of continuity, who is this movie for? Miyamoto: It has nothing to do with the TV series. One Piece Film Gold is a completely new thing made to entertain people. Hiroyuki Sakurada : The movie’s target audience ranges from long-time One Piece fans to people who have never heard of the series. How is working as a producer at Toei Animation ? Sakurada: It’s kind of weird (laughs). I go to the office in the morning, I read manga, I eat while reading manga, I have some meetings during the afternoon about the storyboards, and I watch anime at night. What can you tell us about the differences between producing a franchise like One Piece compared to more minor works? Sakurada: Well, we try to get as much as we can from Oda, his opinion is really important during the creative process. We have to think like he thinks and put those thoughts into every One Piece production. For example, talking about One Piece Film Gold , Oda has been involved since the beginning: screenplay, character design, even the music and voices used for the movie. So that’s the main difference from most other series. Are franchises like One Piece or Dragon Ball infinite or do they have an expiry date? Sakurada: There won’t be any expiry date if people accept what we’re creating, but that’s something we can’t decide. Even if there’s no new material left? Sakurada: Well yeah, we create the content, but it’s people who decide if they like it or not. And we’re going to do our best to create really good content! Do you feel a high sense of responsibility when working on a franchise like One Piece ? Miyamoto: As a director, I feel a lot of pressure. But this is something I’ve always wanted. When I was young, I read the One Piece manga and watched the anime, so I dreamed of ending up as part of the series staff. I’ve achieved that dream, so I feel really fulfilled. What about you, Sato? Did you follow One Piece from the beginning too? 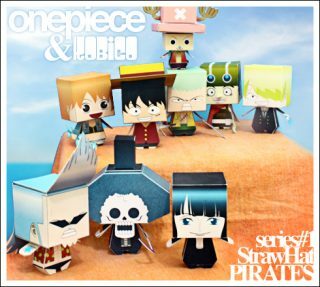 Masayuki Sato : I have to admit that when the One Piece manga started its serialization, I didn’t read it and didn’t have a lot of interest in it. However, when I got to work on the franchise , I started reading it, and I love it! So now I’m really happy to be part of this. It’s your third time on a One Piece movie. 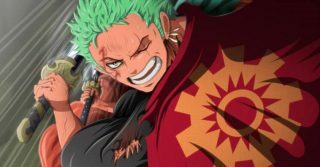 What have been the differences from Gold to Strong World and One Piece Z? Sato: As an animation director, the biggest difference has been using a mixed animation technique. As character designer, I don’t think there’s a lot of differences except that I’m now doing a better job. I do adaptations from Oda’s designs, and that’s something that doesn’t really change, but I’m getting more experienced as time goes by. Comparing your recent work on Pretty Cure All Stars: Haru no Carnival, where you made the original character designs, how does your creative process change with One Piece movies, where you have to adapt someone else’s work? Sato: The main difference is that while original designs have a component of creative freedom, they’re also more difficult to create. On the other hand, if you have something already created like One Piece , the difficult part is to adapt your style as much as you can to the reference, which in this case would be Oda. But in general, it’s easier copying rather than creating designs. Brook, Characters, Dragon Ball Z, List, One Piece, What's New?